Both adult peregrines have been lounging around the Clock Tower in recent days. This is very normal for this time of year, as it is important to maintain territorial defense around the nest box. This morning the female was seen on an upper ledge on the west side of the Clock Tower. This has been a regular morning perch location. 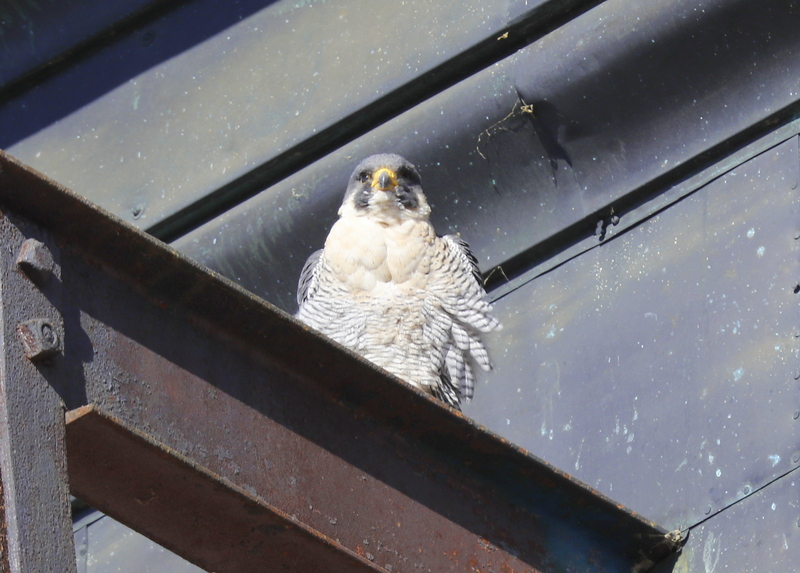 The male was found around the corner on a short protruding steel beam just below the roof line on the south side of the mill complex along Merrimack Street. It is a prime spot to bask in the morning sun and out of the wind!